La Civiltà Cattolica, THE prestigious journal of opinion in Italy, and perhaps in very many ecclesial circles, has new leadership in Jesuit Father Antonio Spadaro. La Civiltà Cattolica has been at the service of the Church 162 years. Father Antonio, 45, takes the helm from Father GianPaolo Salvini, 75, who's been the head of La Civiltà Cattolica since 1985, an apostolate of the Italian Jesuits in Rome. While not an official organ of communication of the Holy See, La Civiltà Cattolica is reviewed by a ranking --though competent-- official of the Secretariat of State. It is said that the Papal Palace, that is, the Pope himself, reviewed the pre-publicaiton draft of the journal; Pope Paul VI changed the process. The new director, Father Antonio, also the superior of the House of Writers (near to the Porta Pinciana) is trained in literary criticism and has been at the journal for a time since 1994. He's from Messina and was ordained in 1996. All of his training was in Italy but he completed his Jesuit formation, tertianship, in Ohio. He earned a doctorate from the Gregorian University under the direction of the Australian Jesuit Gerald O'Collins. The new director has published some 15 books and he's interested in the new social communications. 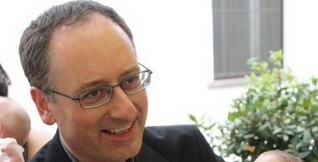 Don Antonio hosts two blogs: "Antonio Spadaro" and "Cyberteologia." He got a difficult road ahead of him: bringing La Civiltà Cattolica further into the new millennium with the use of English, social media and greater visibility. The voice of La Civiltà Cattolica needs to be heard. A new broom sweeps clean. May God grant Father Antonio many and rich blessings as he begins his new ministry. Monsignor Lorenzo Albacete was interviewed by PBS's Frontline on the 9/11 tragedy. That phrase: "I saw death" is a startling thought. What does one really see? The interview is interesting as it tries to deal with facing good and evil, not only in the ad extra but also ad intra, and the worship of the true God. 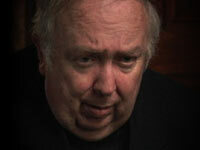 Monsignor Albacete's interview is part of the larger project called Faith and Doubt at Ground Zero. Pope Benedict gave the following teaching on beauty --a subject near to his heart-- on August 31. Some of the paragraphs are here (the entire address is here). Isn't what the Pope says true???? The beautiful expressed in food, music, art, architecture, the human body, the poerty and friendship is the extroversion of the Holy Spirit. 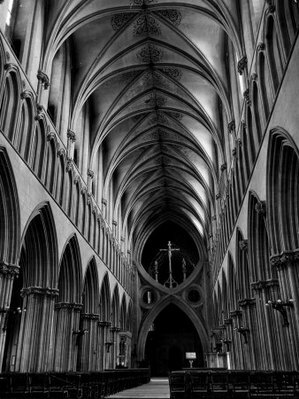 Today, I would like to consider briefly one of these channels that can lead us to God and also be helpful in our encounter with Him: It is the way of artistic expression, part of that "via pulchritudinis" -- "way of beauty" -- which I have spoken about on many occasions, and which modern man should recover in its most profound meaning. Perhaps it has happened to you at one time or another -- before a sculpture, a painting, a few verses of poetry or a piece of music -- to have experienced deep emotion, a sense of joy, to have perceived clearly, that is, that before you there stood not only matter -- a piece of marble or bronze, a painted canvas, an ensemble of letters or a combination of sounds -- but something far greater, something that "speaks," something capable of touching the heart, of communicating a message, of elevating the soul. A work of art is the fruit of the creative capacity of the human person who stands in wonder before the visible reality, who seeks to discover the depths of its meaning and to communicate it through the language of forms, colors and sounds. Art is capable of expressing, and of making visible, man's need to go beyond what he sees; it reveals his thirst and his search for the infinite. Indeed, it is like a door opened to the infinite, [opened] to a beauty and a truth beyond the every day. And a work of art can open the eyes of the mind and heart, urging us upward. Continue reading Artistic expression is part of that "way of beauty" that leads to God. This page is a archive of entries in the Faith & Reason category from September 2011. Faith & Reason: July 2011 is the previous archive. Faith & Reason: October 2011 is the next archive.